This study wasn’t performed by some independent group that nobody has heard of or trusts for that matter, this was done by the National Institute of Aging. In essence, what they found was that simply by eating less and eating within a certain period of time each day, would significantly limit cardiovascular disease and ultimately cardiovascular death in this country. Coronary heart disease remains, far and away, the leading cause of death followed by stroke in this country. The NATIONAL INSTITUTE OF HEALTH has come up with these findings, yet the general public lacks even the most basic knowledge of how to eat and more importantly WHEN TO EAT. The beneficial effects of IF and CR result from at least two mechanisms. Reduced oxidative damage: (think of an apple turning brown after you bite into it). Oxidative stress is one of the main culprits behind the process we call aging. And, over time, the damage it causes can trigger some of our most devastating disease. Increased Cellular Stress Resistance: Basically our cells become more resilient to the harmful effects of free radicals as a result of all the crap we put into our bodies. The study even went so far as to say that the cellular and molecular effects of IF and CR that they found on the cardiovascular system and the brain are actually similar to those of regular physical exercise, suggesting shared mechanisms or benefits. I HAVEN’T EVEN BEEN ABLE TO TALK ABOUT THE EFFECTS OF IF ON DIABETES, FASTING GLUEOSE LEVELS AND WEIGHT LOSS. Guess what…. overall the studies have been very favorable, showing a decrease in overall insulin sensitivity; which is a very good thing. In only rare situations, where the diabetes was TOTALLY OUT OF CONTROL, did the blood sugar levels become erratic, but this was only in a very small subset of participants. Obviously, it would be wise for anyone with rather uncontrolled diabetes to consult with their physician before starting any new eating regimen. SOOOOOO, what is intermittent fasting???? Literally, it’s to refrain from food and drink (I only consume water with lemon during fasting periods) from a specific period of time. 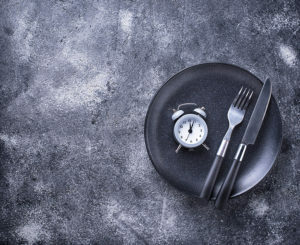 There are several different forms of fasting, but for the purposes of this article, we will use the catch-all phrase of intermittent fasting. Instead of the standard “three squares a day” or several small meals throughout the day, an individual only has a specific window of time when they can eat, whether it’s a few hours in the day or certain days of the week. When you aren’t fasting, you can theoretically eat whatever you want; but like anything else, take that with a grain of salt. It you opt for processed, sugary foods, it’s highly unlikely you’ll see all the benefits of fasting that I’ve described above. HOWEVER, if you stick with the fasting and eat mainly a whole food diet, rich in fruits, veggies, lean proteins, and healthy fats, you WILL SEE CHANGES (REMEMBER, ALWAYS CHOOSE ORGANIC, WHEN POSSIBLE). 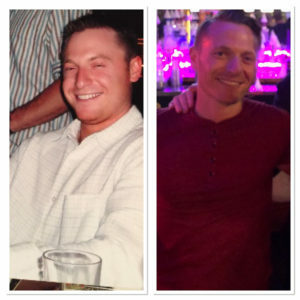 The beauty of this diet is that when you do have a true cheat meal, the overall impact on your weight and quite frankly your overall health is far less than if you were eating food more regularly. I’m guilty of being a food lover myself; I love my cheat meals, quite frankly without them, I’d lose my mind. Occasional indulgences, in my professional opinion, are vital to a fruitful, happy life. More importantly, these so-called cheat meals, are essential in helping me to maintain a mainly plant based, whole food diet 95% of the time. Life is short and one has to find time to stop and smell the proverbial roses, and in my case, more often than not, that involves some type of food indulgence. My own experience with intermittent fasting has basically changed my life. I have far less overall body fat, I have significantly less digestive issues, my sleep patterns have improved, I’m less tired throughout the day, I have less anxiety (you know we all have it), I have far more energy during my workouts (due to intermittent fasting’s ability to promote secretion of HGH or Human Growth Hormone) and I have overall significantly increased mental clarity and focus. You want to know why I’ve experienced all these things….its because my body isn’t in a constant state of digestion!!! I’m allowing my body to put more energy into other vital processes; therefore, significantly increasing performance. I’ve always been a chiropractor that practices what he preaches; what I eat and when I eat are a huge part of my daily health regimen and I try to pass these philosophies along to my patients who may be battling with dietary problems or chronic obesity ultimately leading to, in most cases, back and neck pain; which is probably why they came into my office in the first place. Does intermittent fasting and caloric restrictive diets take discipline? ABSOLUTELY….Do I get hungry at times….ABSOLUTELY…BUT…once you’ve gotten through those first couple of days, your body will adapt and you will feel so much better; I know I did. “Intermittent Fasting Vs. Daily Calorie Restriction for Type 2 Diabetes Prevention: A Review of Human Findings.” Translational Research. Volume 164, Issue 4, October 2014, Pages 302-311. Adrienne R. Bamosky, Kristin K. Hobby, Terry G. Unterman, Krista A. Varady.